Bits and pieces of my 2001 PhD. dissertation are incorporated into the book, and in the few places where the dissertation contains a more detailed discussion there is a note to that effect, but the overall project has changed and expanded so much over the past ten years that I consider the dissertation to have been superseded in almost every respect. However, the two appendices contain concentrated information that is not available in the book, so I am making them available (unrevised) as supplements here. The publisher of the Rekishigaku jiten in which Yoshie 2003a and 2003b appear is Kōbundō, not Shibundō. 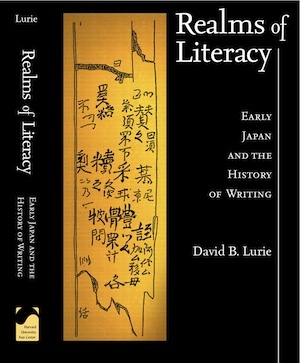 This blog contains supplementary images, bibliographic information, and errata for my 2011 book. It is my own private undertaking and has no affiliation with the Harvard University Asia Center or with Columbia University. No profits are made from this site and all images are provided for educational purposes only.